Derived from the renowned multi-volume International Encyclopaedia of Laws, this monograph provides a survey and analysis of the rules concerning intellectual property rights in Russia. It covers every type of intellectual property right in depth – copyright and neighbouring rights, patents, utility models, trademarks, trade names, industrial designs, plant variety protection, chip protection, trade secrets, and confidential information. Particular attention is paid throughout to recent developments and trends. The book provides a clear overview of intellectual property legislation and policy, and at the same time offers practical guidance on which sound preliminary decisions may be based. 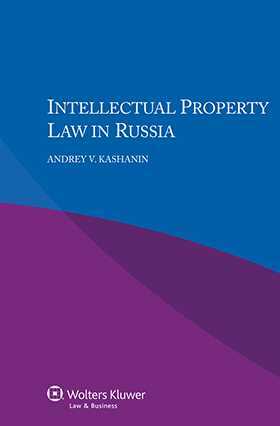 Lawyers representing parties with interests in Russia will welcome this very useful guide, and academics and researchers will appreciate its value in the study of comparative intellectual property law. General Introduction. Intellectual Property Law. Chapter 1. Copyright and Neighbouring Rights. Chapter 5. Trade Names and Commercial Names. Chapter 7. Protection of Selection Achievements. Chapter 8. Protection of Layout Designs (Topographies) of Integrated Circuits. Chapter 9. Knowhow and Trade Secrets.